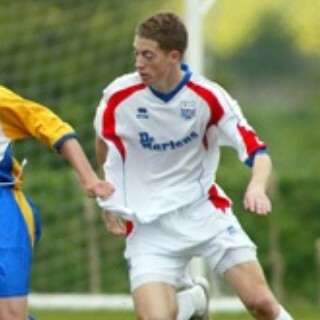 Jason was a product of the Youth set up at Nene Park, being offered a contract following his apprenticeship. 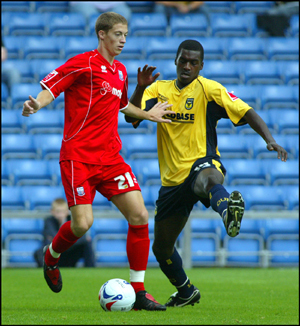 His appearances were mainly limited to coming off the bench, although he made 9 starts for Diamonds before going out on loan to Nuneaton Borough for the latter part of the 2005/2006 season. He was released by Diamonds at the end of the season and joined Rugby Town in July 2006 where he scooped several awards during his first year, scoring 24 goals. He suffered cruciate ligament damage in April 2007 and the injury kept him out for some 16 months. Although he returned to action in August 2008, he decided to follow his former manager to Bromsgrove Rovers on 29 October 2008, but returned to re-join Rugby Town in December 2008. He was released during the summer, and joined Southern League Premier side Banbury United in August 2009. In March 2011, Jason joined Southern League Division One Central side Arlesey Town until the end of the season, but injuries have meant he has played little football since. Jason returned to playing a a lower level after a long lay off, and joined UCL Division One side Raunds Town in mid-October 2012. He made 7 appearances for the Shopmates, scoring 3 times, but left during early-December 2012, joining UCL Premier side Wellingborough Town. Jason left at the end of the season, and signed for UCL Divison One side Thrapston Town in July 2014. No record of his involvement with the game has been found between 2015 and 2018.